This is the era of internet and Twitter, an era of knee-jerk reactions and exaggerated outrage and an era where the mob is out baying for an offender's head at the slightest transgression. Steve Smith, David Warner and Cameron Bancroft were victims of this new internet culture as much as they were of their own actions. The aforementioned Australian trio conspired to commit ball-tampering, an offence that was not born during the 3rd South Africa vs Australia Test. Ball tampering has long existed in the game and one that has always been placed under the 'naughty' rather than the 'heinous' column of rule breaches, and the punishment for it has always been nothing more than a slap on the wrist of the offender. 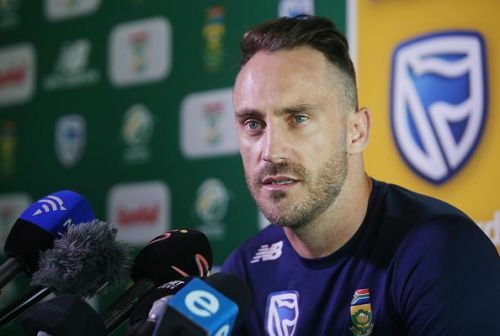 Faf du Plessis, the captain of South Africa's Test team, who has twice been found guilty of ball tampering, will testify to this claim. However, the incident in Cape Town where Cameron Bancroft used sandpaper to try and alter the condition of the ball, somehow seemed different. Suddenly ball tampering ceased to be naughty and became outright cheating. What was it that caused this sudden shift? A lot of it had to do with the predetermined nature of the offence. It is one thing to catch a glimpse of what the person sitting to your right is writing in the exam sheet and another thing entirely to actually carry a book under your shirt or by other means to help you cheat in an exam. Both are instances of cheating in an exam but we could all agree that the latter is clearly the worse of the two offences. If caught, both the offences will carry the same punishment but if your father found out, then the backlash for the latter, once you reach home, will be a lot worse than for the former. The former offence hints at opportunism, an opportunity to get an edge presented itself and it was grabbed, while the latter hints at far bigger issues with the moral character of the person involved. In all previous instances of ball tampering, be it Atherton using dirt from the pitch, or Waqar Younis using his fingernails or Shoaib Akhtar using his fingernails, or Rahul Dravid using Lozenge (a cough sweet medicine), or Stuart Broad using the spikes in his boot to step on the ball, Afridi just using his teeth to bite the ball, or Faf du Plessis using candy to shine the ball, the 'tool' used for tampering with the ball is found naturally on the cricket field. Dirt is always present on the field, a player is allowed to chew candy or gum while fielding, boots that players use already have spikes and one could hardly be expected to leave one's teeth or fingernails in the dressing room before coming out to the field. Hence these past offences could be brushed under the opportunism and naughty carpet in the past. However, sandpaper doesn't belong on a cricket field. It was a tool brought onto the ground solely for the purpose of ball tampering and this immediately made it a 'greater' offence in the minds of the public. Then there was also a further question of integrity raised when Steve Smith and David Warner, the captain and the vice-captain of the team, then delegated the dirty task to a newcomer Cameron Bancroft. The public opinion was that having resolved to tamper with the ball, they should have followed Eddard (Ned) Stark's words 'one who passes the sentence should swing the sword (er ... sandpaper)' and tampered with the ball themselves. The incident became no longer about the ball-tampering itself and more about the moral character of those involved. 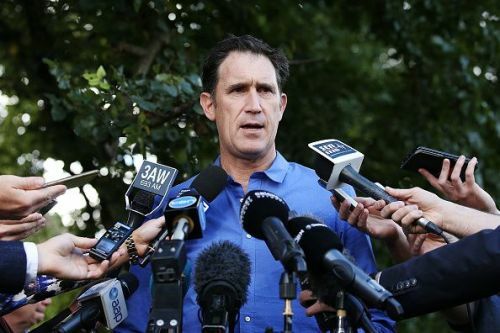 The Australian Cricket board were under pressure to act in light of the backlash from the media and the public and flew down its top official James Sutherland who conducted a hasty inquiry into the matter, which left everyone with more questions than answers. Sutherland came to the conclusion that no one in the team besides the three players already in the media glare knew of the ball tampering. This conclusion immediately raised eyebrows. How could not of one of the other 8 players on the field have known that something fishy was up? How could not even the bowlers who were actually handling the ball have noticed that the ball seemed like it had been scruffed up or seemed far too different from a few deliveries earlier and could not be explained by natural wear and tear. Then there is the issue of coach Darren Lehmann. How could he not know? It is his job to know what his players are upto. Sutherland's decision to exonerate Lehmann was based on the fact that upon seeing the images of ball tampering on the large screen at the ground Darren Lehmann got on the walkie-talkie and told Peter Handscomb, a substitute fielder, "Find out what f*** is going on?" To Sutherland, this conversation was conclusive proof of Lehmann's innocence. This seems like an extremely farfetched assumption. If Lehmann was part of the conspiracy his words would hardly have been different. Does Sutherland expect Lehmann would have said something like "Hey, Handscomb, just run to the middle and tell the boys to stop scruffing the ball with sandpaper like we agreed yesterday." The inquiry seemed an attempt to make scapegoats of those already in the media spotlight and save the rest of the unit, especially Lehmann and the bowlers. Having identified the culprits, Cricket Australia set about dealing with them, much like the aforementioned father who had learned that his son was caught with a book under his shirt in the exam hall. It must be pointed out here that there was no inconsistency on the part of ICC (the school in this analogy). 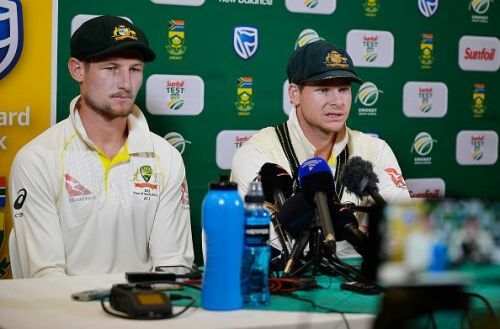 Cheating during an exam is cheating during an exam and ball-tampering is ball-tampering, and like in previous cases the ICC gave Smith a 1 Test ban and fined Bancroft, a punishment very much in line with what was doled out to previous offenders. However, Cricket Australia, under pressure from the largely knee-jerk and exaggerated reactions from the public went overboard in their effort to set a precedent and banned Steve Smith and Warner for a year and Bancroft for 9 months. I think even the biggest of critics of the trio will admit that the punishment was too harsh. 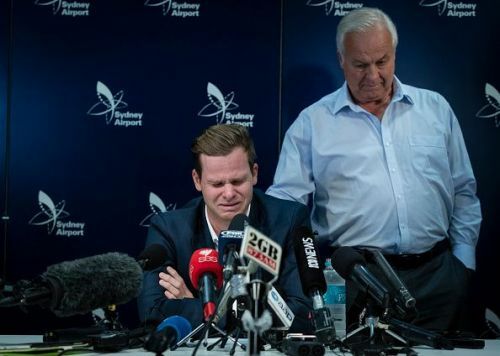 Smith broke down during a press conference upon his return to Australia and profusely apologised to the public for his role in the incident. Everyone has committed mistakes and it's clear so has the Australian Cricket Board. The punishment given to the three has been too harsh. A three to five Test ban would have been more than enough and hopefully, sense will prevail in the coming days and their bans would be reduced. However what is not deniable that Cricket Australia has set the precedent going forward and other Cricket boards will also be under pressure to follow CA's lead when it comes to dealing with offenders. It's clear that the incident has changed forever how ball tampering is viewed by the public and will be a big deterrence for players in the future. Sandpaper Gate Aftermath: An impulsive move, or an act to safeguard the honourable legacy of the gentleman's game? "Play hard, but fair": Does the Australian echo-chamber ring hollow after the ball-tampering saga? ICC World Cup 2019: Is the new-look Australian side fully equipped to fight for glory again?